How to update an organization name? 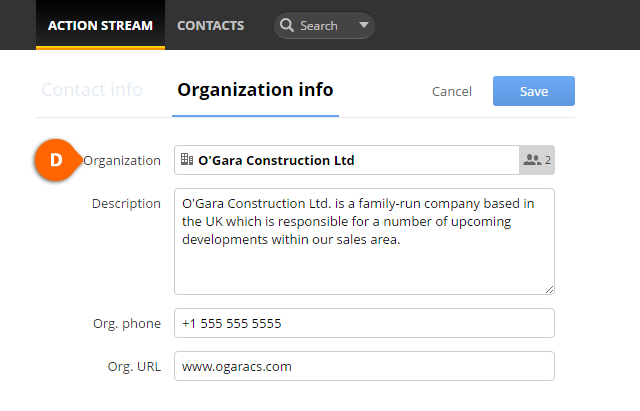 Click on Contacts > Organization toggle button (see A). Filter the list by clicking on a specific letter from the alphabetical sort (see B). Open the organization and click on Edit organization link (see C). Update the Organization name field and hit save (see D). When updating Organization name, you cannot leave this field blank - there must be a value here. When updating Organization name, you cannot rename this to an existing organization. 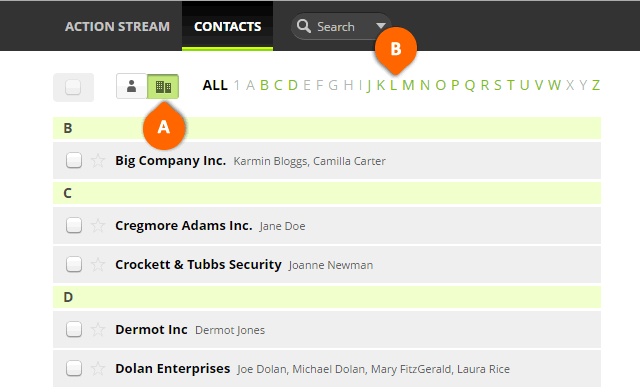 To move contacts from one organization to another, they must be moved individually.